Continuing from The Cow’s Face Asana with one more verse. The first translation and the Titles are from Swami Kripalu’s, Revealing the Secret, a commentary on the Hatha Yoga Pradipika. The second translation is from the Pancham Sinh edition. 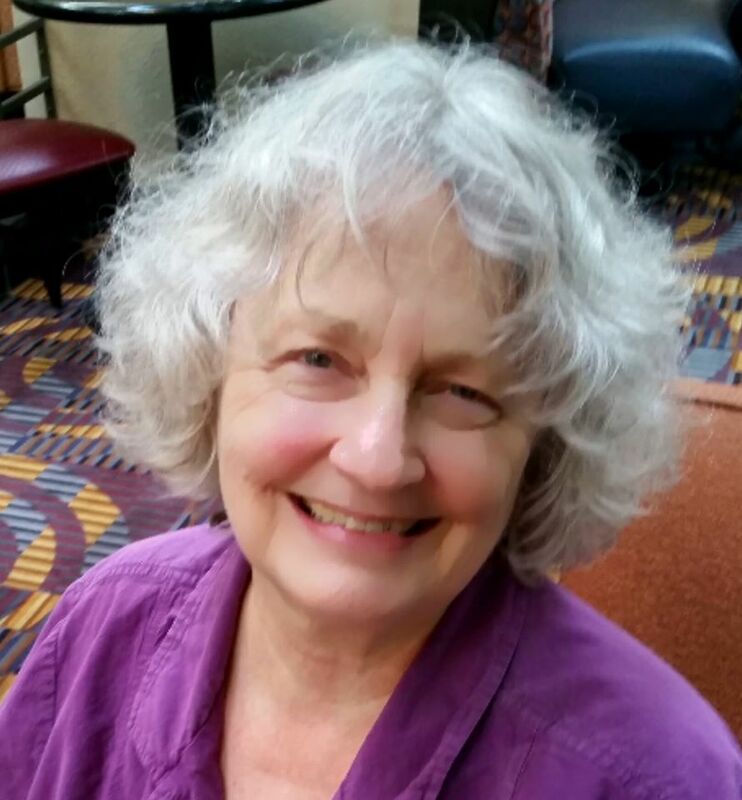 For persons using other editions, in this blog we are taking up at 21 in the Kripalu translation, which is 23 in the Sinh translation. Firmly place the first foot on the second thigh, and the second foot on the first thigh; this is called the virile posture. One foot is to be placed on the thigh of the opposite side, and so also the other foot on the opposite thigh. This is called Virasana. This uncertainty is quite proper, but that lotus posture which has been called the virile posture is different from the lotus posture ordinarily found in meditation. 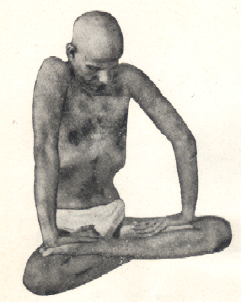 When a natural triple lock composed of the root lock, the flying-up lock, and the water-holder lock occurs in the lotus posture, and the palms are firmly placed on the soles of the feet, then, from the viewpoint of the sentiment (the emotional state, the mental state), the yogi appears to be a virile warrior, because at that time valor has spread throughout his body and mind. When this triple lock occurs in the lotus posture with the palms firmly placed on the soles of the feet, pressure is created, restricting the flow of blood. From the yogi’s point of view, he feels virile—he experiences strength and energy—because at that time, he experiences this throughout his body and his mind. Just as under the influence of defeat or misery, the mental tendencies slacken and the person becomes dejected and empty (down and out), so under the influence of victory or joy, the mental tendencies strengthen and the person becomes cheerful and virile. When the yogi comes under the influence of despondency, misery, defeat, etc, there is a reduction of the level or strength of the energy of the body (consider the word, “depression” in a literal sense). We talked about this in the previous post. “Dejected and empty” refers to a mode of purification. When the yogi feels successful and joyful, strength is regained and the mode of purification is tapas, heat. The fire is called “the virile one”. When the fire of yoga is kindled in the body of the aspirant by means of continued practice, he receives the name “the virile one”. Yoga is the best sacrifice of all. Indeed the fire of yoga is the sacrificial fire. Now we find that “sacrifice” is not what we may previously have believed. This is Good News. From the point of view of the followers of the Tantras (the scriptures that form the basis of the tantric system of yoga), the triple lock is the trident. 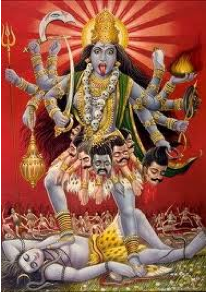 Trident-bearing beloved Lord Kind Dissolver [Shiva] and trident-bearing Mother Black One [Kali] are incarnate in the body of the aspirant in which the triple lock occurs. This is why it has been called the virile posture. 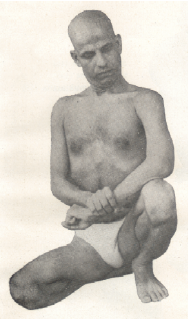 There is also another posture called the virile posture. In it, one foot is in the middle of the buttocks and, the knee being bent, the other foot is placed standing (with its sole on the ground). Lastly, the wrist of one hand is held firmly by the other hand. Great singers of Indian scriptural music (the music that accords with the principles given in ancient Indian scripture) sit in this virile posture with their tanapura [or tambura] (four-stringed musical instrument made from a gourd). I am reminded of one of Swami Kripalu’s writings in which he made an interesting opening statement that went something like this: For the last two years I have been studying yoga and music. This was written decades after he had begun yoga; he had been a musician during his lifetime, so there was special meaning to this statement. Some of my earlier entries address this pairing of music and yoga. In illustrations, Great Virile Beloved Crusher (the monkey god) is portrayed in this posture. 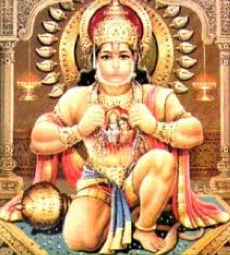 In this picture, the monkey god, Hanuman, instead of holding his wrist, is displaying his ardent devotion to the divine couple, Rama (you) and Sita (your shakti) to whom he was deeply devoted. His “crusher” (lower left) represents the crushing of the mentally based desires that stood in the way of their union. This story is told in Valmiki’s Ramayana. I think this is a good time to remind you that you are, and have been, reading about and looking at asanas in their final forms. For instance, the triple lock associated with virasana, consists of three locks that initially occur independently of each other. It is only later in sadhana that they occur together. Their simultaneous occurrence is the final form of the triple lock (tribandha) as demonstrated in virasana. I’m sorry for being so impulsive but this post is making me see one of my experiences in a very different light…I’m totally dumbfounded!